Do you travel around the world? If you do then we know you’ll hate how each country has a different electrical socket layout, which means you absolutely need to carry around adapters as well as chargers, so you don’t get caught out in your hotel. There are lots of international power socket adapters around of course, but not like this cool new product from Satechi. 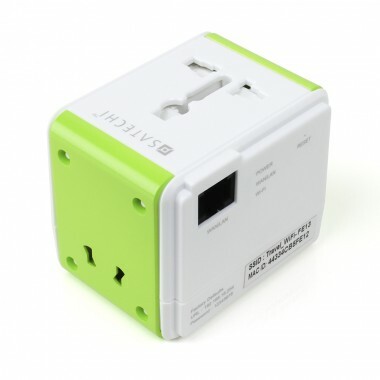 The new Satechi Smart Travel Router works with almost 150 national electrical socket layouts. It has an AC outlet and a 2.1A USB outlet for charging electrical devices (beefy enough for tablets too, note). But the best thing about this particular device is it also serves as a portable Wi-Fi router, repeater (to extend the range of your current Wi-Fi router), an access point, or a wireless adapter for your non Wi-Fi devices. Now that’s what we call useful. The Satechi Smart Travel Router is available for $44.99 via Satechi.